DARTMOUTH, Mass. 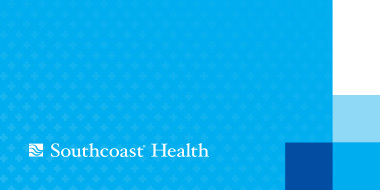 – Southcoast Health today announced that Patrick Fei, MD, general surgeon, has joined Southcoast Physicians Group, and will be seeing patients at 300B Faunce Corner Road in Dartmouth, as well as 191 Bedford Street in Fall River. Dr. Fei received his medical degree from Tufts University School of Medicine in Boston and completed his internship and residency in general surgery at Staten Island University Hospital in Staten Island, N.Y. Dr. Fei also completed a fellowship in minimally invasive bariatric surgery at Abington Memorial Hospital in Pennsylvania. While training at the Staten Island University Hospital, Dr. Fei received several recognitions, including Intern of the Year, a Citizenship Award, the Team Six Award and a Service Excellence Award. He is a member of the American College of Surgeons, the American Society for Metabolic and Bariatric Surgery and the Society of American Gastrointestinal and Endoscopic Surgeons. Dr. Fei has a special interest in minimally invasive laparoscopic surgery, and is fluent in Cantonese Chinese. His office number is 508-973-1020.